HAMILTON, ONTARIO, CANADA: Accessibility for people with disabilities will soon be improved at L’Arche Hamilton, thanks to the Enabling Accessibility Fund. The Honourable Kent Hehr, Minister of Sport and Persons with Disabilities, toured the ongoing project at L’Arche today to witness first-hand how this Government of Canada-funded program has on changing lives. LONDON, ONTARIO, CANADA: The chalet at Boler Mountain will soon be accessible to everyone with the installation of a new elevator. The Honorable Kent Hehr, Minister of Sport and Persons with Disabilities was very pleased to announce that the Enabling Accessibility Fund is once again helping to enhance access for people with disabilities. The London Ski Club has recently received $45,000 through the Fund to increase access to their facility. The funding is enabling the Club at Boler Mountain to install an elevator that will provide greater access to the second floor of the chalet and offer a community space that is inclusive to all, with new accessible meeting spaces. This funding will also provide expanded access to existing programs and go towards the creation of new programs, as well as more volunteer and work opportunities. The London Ski Club is also home to the London Track 3 Ski School. This non-profit organization provides downhill ski and snowboarding programs for children and adults with physical, cognitive, visual and hearing challenges. Canadians with disabilities face challenges every day, which prevent them from participating fully in their communities and workplaces. The Government of Canada is committed to increasing accessibility and ensuring that everyone has equal access and opportunity through programs such as the Enabling Accessibility Fund. The project at Boler Mountain is one of 575 projects approved through the 2016 small projects call for proposals. 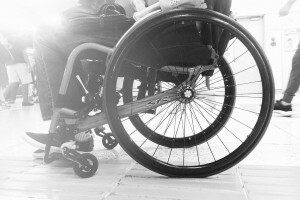 Organizations were invited to apply for funding for projects that increase accessibility and inclusion of Canadians with disabilities in their communities and workplaces. In July 2016, the launch of the Accessible Canada website (Canada.ca/Accessible-Canada) signaled the initiation of online consultations to inform the development of federal accessibility legislation. In addition, between September 2016 and February 2017, the Government of Canada conducted 18 public sessions and 9 roundtables in 18 cities across Canada. A national youth forum was held in November 2016 to seek input from youth with disabilities or youth with relevant work, education and life experiences.